Are We Letting Others See the Tender Us? 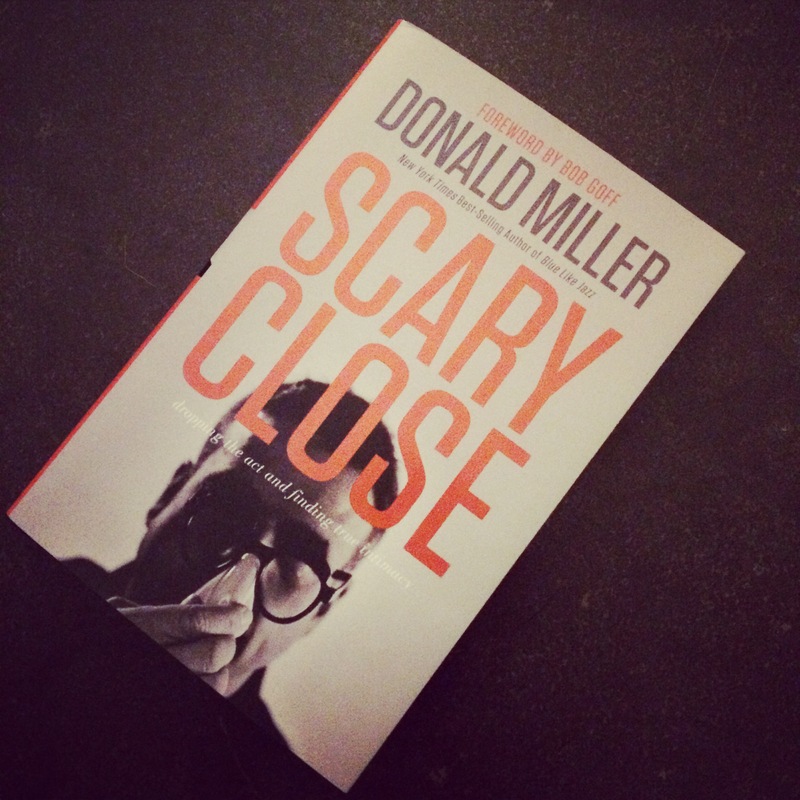 Last week I finished Donald Miller’s new book Scary Close all in about 2.1 seconds. It was a breathtakingly honest and soulful read. One I’m already looking forward to rereading again. If you don’t have a copy, stop what you are doing and get one. It’s that good. With each line, I felt comforted as if Don and I were on similar journey’s. The tension between letting go of your fear and shame and truly allowing yourself to be known is all too familiar. It’s always refreshing to be reminded you are not alone, especially when the process can lead you to believe you’re pretty darn close to insanity. There was one line in the book that read like a bomb exploding in my soul. The line has echoed in my being and has left me asking myself some questions. The truth is, much of it is an attempt to keep everyone at arms length. Because the real me… Well, that’s risky exposure. Wouldn’t they be deeply disappointed? Wouldn’t they get bored? Wouldn’t they find out I’m not very lovable or worse… I’m not worthy? So many of us grow up learning how to put on the exterior, the facade, in hopes it will gives us something we want, something that might fulfill us: friends, success, money, popularity, intelligence, power, control, humility, status, security. It’s a sad part of the “American way”. But don’t we lose our soul-selves in the process? Don’t get me wrong, I’ve done it. I’ve acted the part I thought would lead me to an end result. Not because I was overtly trying to manipulate something, but because I learned early on it was too scary to just be me. But what a high-risk cost… Giving up your true self, your endearing self. But that’s no longer the story I’m after. I want to be known. Scary as hell as it may be. I want to share my heart with the world. Because I want to see others healed and loved and reminded they’re not alone too. I want others to feel the freedom to stop hiding and find out how valued they are… JUST AS THEY ARE. Donald Miller talks about it in his book, but I think being known begins with finding a few safe people who will offer us their hand. The ones who can be trusted with our hearts and our failures and our dreams and say, “I am with you and I believe in who you are becoming”. Only then can that true drum-line of our hearts be birthed into the world. And don’t be fooled… the world needs us. The world needs our endearing, tender, soulful stories. I think Donald Miller brought down the hammer with his line. I believe God has a story of beauty blooming within each one of us. Some of us might cover it up a bit more than others; still some of us tend to flaunt our thorns more. But I’ve got to believe there’s a bud waiting to be tended to within each one of us. And when we are able to dare sharing it with the world, we will realize just how breathtaking and endearing we are. < Previous Letter to Me: Can I Tell You Something? This book sounds interesting. Another one that has helped me is “TrueFaced” by Bill Thrall, Bruce McNicol, and John Lynch. Here’s an excerpt of the blurb written on the back of the book: “‘TrueFaced’ draws a clear distinction between two very different underlying motives: my determination to please God or to trust Him. The resulting difference from these two starting points could not be more profound. One results in a striving that never feels it has done enough to please him. The other results in a trust that experiences his full pleasure.” We are all so good at wearing masks, rather than resting in who God has made us and trusting Him to grow and stretch us in becoming conformed to the image of His Son.